We have a legacy of “deeds not creeds.” Unitarian Universalists put our faith into action. Our justice efforts are grounded in our congregationally-driven social justice statements and our call to break down divisions, heal isolation, and honor the interconnectedness of all life and all justice issues. 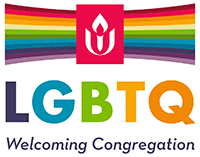 We model these commitments by creating just, welcoming, and inclusive congregations.